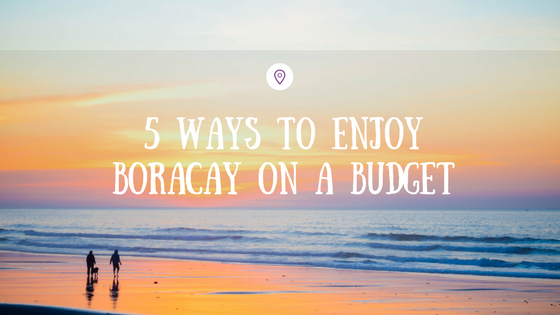 Can you visit the island paradise of Boracay on a budget? Yes, you can! Here are a few suggestions on how to plan an unforgettable tropical vacation in one of the best beach destination in Asia. With the introduction of budget airlines, flights to Boracay became relatively cheaper. Cebu Pacific, Philippine Airlines, and Air Asia normally have promo fares all year round so it does help to have them on your mailing list so that you are well-informed. Apart from that, decide where you are flying to. To get to Boracay, you can either fly into Kalibo International Airport or Caticlan Airport. There are Pros and Cons when you are flying in at both airports. Caticlan Airport is much closer to Boracay, however, flights can be relatively more expensive. Kalibo International Airport is much farther (it would take around 1.5 to 2 hours by bus to get to Caticlan Jetty), however, the flight is relatively cheaper. 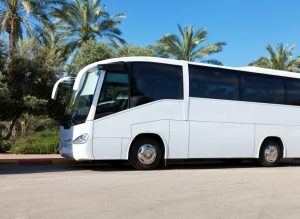 If you are flying in Kalibo International Airport, Island Star Express is a relatively cheaper and reliable airport transfer service to Boracay. You can make your bookings here. If you don’t like crowds and paying double for room rates then you are better off traveling during off-peak season. Avoid Christmas, New Year’s Eve, Holy Week or LaBoracay weekend. Apart from that, high season is from November to June. The low season starts in early June and ends in October. The weather may be unpredictable but you’ll be able to enjoy the beach all to yourself and book rooms that are half the price. 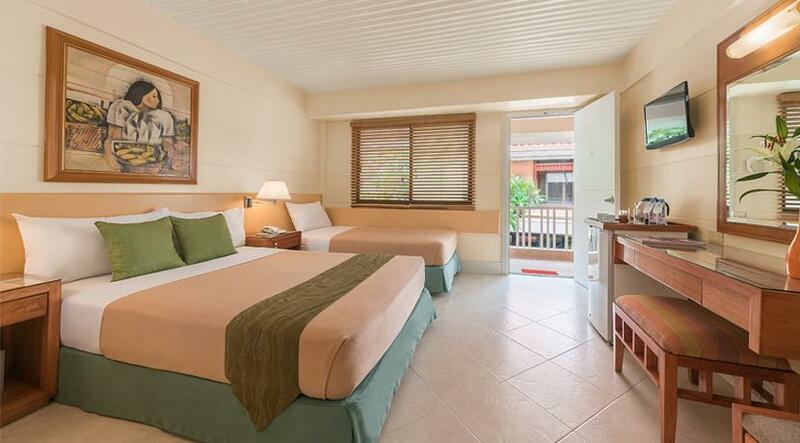 We think the best time to head to Boracay is during September. It’s the in-between month where the weather is not too warm and rain is less. Our tip: Forget beach front resorts as they charge a higher price because of their location. If you really want to stay close to Station 1, stay in resorts that are on the main road. It is more peaceful and it is just 5 minutes away from the beach. #4 – Cheap Eats and Drinks! Boracay has a number of cheap restaurants and bars. You just need to know where to find them. If you walk along the main road or look in the small streets which lead to Bulabog beach, you’ll find small Filipino eateries that offer meals for Php 50 or less. Happy Hour is also almost everywhere. Most beach front bars offer happy hour prices that would range from Php 30 to 50 for beers and Php 40 to 70 for cocktails. That’s less than USD 1. So drink as much as you want! Boracay has one of the most stunning sunsets. Grab a beer and enjoy the spectacular view of the sunset. Go window shopping at D’mall. Instead of clubbing, drink up during happy hour and watch the fire dancers by the beach in the evening. 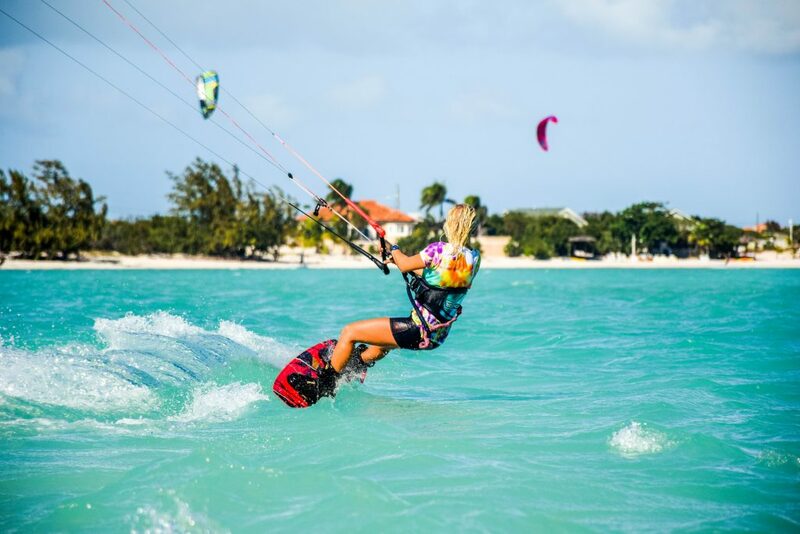 Watch the Kitesurfers do their thing in Bulabog beach. Book your room accommodation directly from the hotel or resort. Agencies and online booking websites may charge extra costs when you book with them. Sometimes, the hotel or resort can match those prices so it does not hurt to ask or inquire with them directly.